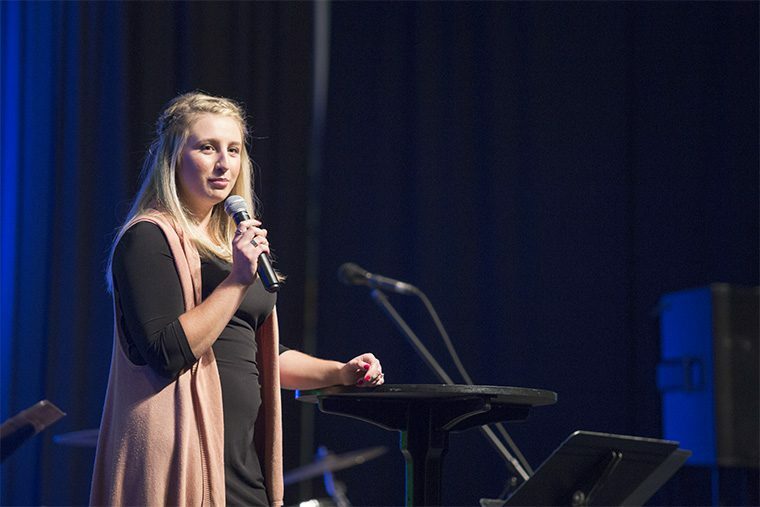 Kate Reid graduated from Columbia Bible College with her BA in Intercultural Studies in 2015. She took time out from camp prep to answer our questions about her role as Director of Director of Camp Likely in Quesnel Lake, BC. I did six years of camp ministry before I became the camp director. I’m starting my second year as the camp director. It all started with a Camp Likely board member asking me to be the lifeguard at camp for the summer. I’ve been coming back ever since! I was the lifeguard, then waterfront director, then program director, and now camp director. It really has been through God’s leading and my ever-increasing love of camp ministry that I’m here. Camp ministry is very focused on evangelism. Columbia provided evangelism training which helped me learn how to share the Gospel effectively and with conviction. As well, as I am leading staff training on topics like evangelism, sharing your testimony, hard questions about God that kids will ask, I find I’m constantly turning to the knowledge I’ve learned at Columbia. Classes like introduction to theology, pastoral practices, and theological confessions all equipped me to have tools to approach hard topics that are staff and kids bring to camp. How does being a camp director connect with your sense of calling? I feel my calling is to share the love and Truth of Jesus Christ. Being a camp director allows me to be intentional with our staff and campers as we spend at least a week together in the middle of Creation, building community and sharing about Jesus. This job brings me so much joy as I watch Jesus work in the lives of kids who are so broken, lonely and scared. I see him speak to them, I see them love the Word of God and I see them feel safe. In the off season it looks like a lot of emails, meetings and brainstorming. During camp my week is full of mentoring, meeting parents and kids, and watching my staff thrive as counsellors. I get to be outside, eat great food and share about Jesus – so I definitely prefer the weeks where I’m actually at Camp Likely! 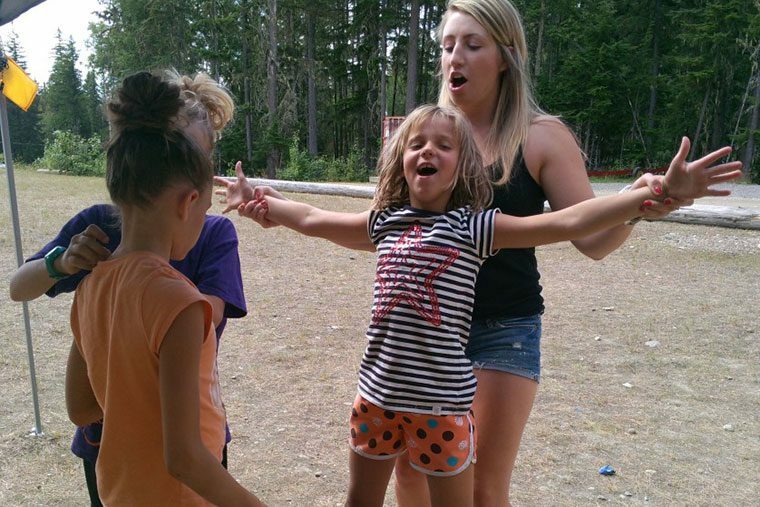 What’s the best part of being a camp director? I would say I can’t get enough of watching Jesus work! I’m constantly reminded in this role that God is the God who provides! He provides us with staff, a location, funds to offer camperships, campers, wisdom, humility, love, patience and fun! I love sitting back and letting God do his thing at camp, and the opportunity that I’m invited along is so great! I would say it’s so hard to meet these kids who share their struggles and the hardships of their lives. Some of our kids have it really tough. We offer them a week of community, love and care and then they head back into the real world. It’s heart breaking to watch them leave knowing what they are going back to. Specifically last year, there was a teen camper who didn’t want to be a part of camp at all. He was not interested in anything. Towards the last night he shared his story with his counsellor, and decided he wanted to follow Jesus whole heartedly! This was so rewarding because I had decided he wouldn’t be interested in Christ and somewhat wrote him off. But Jesus hadn’t! Jesus calls the unexpected, and cares for those that the world thinks have no hope. I love that I was proved wrong by Him! I was reminded that Jesus is the author of salvation, not me, or the counsellors. It’s Christ alone. How can someone tell if camp leadership is the right kind of role for them? If you like long days of being with people, getting to know them and spending quality tieme with them, if you’re willing to be open about your life and faith, if you see the need of sharing the Gospel with the lost, then camp ministry is for you! I would say try it out! 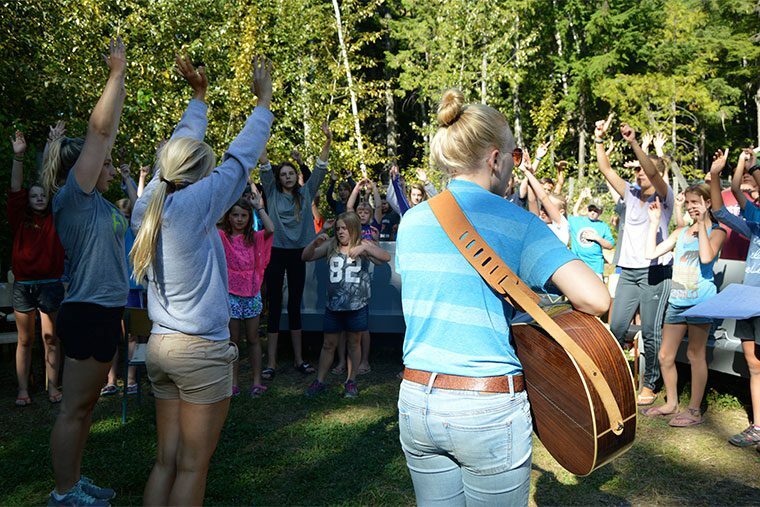 Spend a summer at camp, prayerfully considering what it looks like for you. 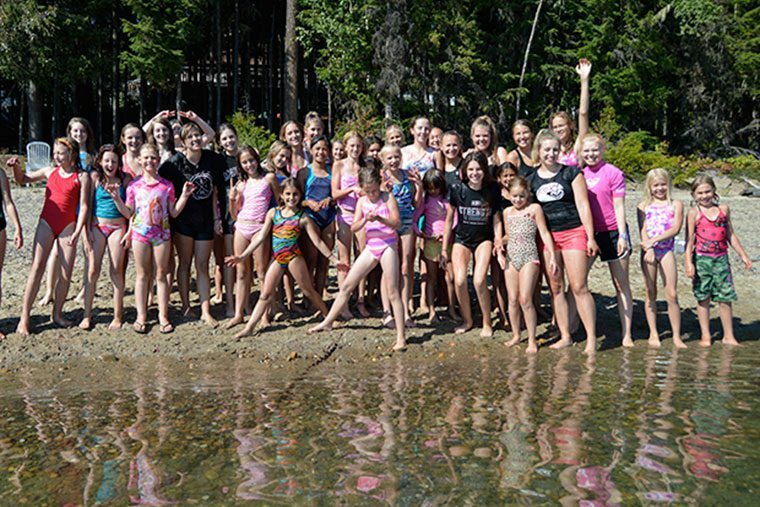 There are so many roles that are needed to make camp run, so even if you aren’t thinking you’d like to be a camp director, what about a cook, maintenance, program or office administrator? There are a lot of opportunities to be a part of the camp community, and there are so many different types of people needed. As well, make sure you love the local church. You’re plugged in, and committed to what the local church does and stands for. Camp ministry is not alone in evangelism or discipleship. We need the local church and ideally all of our kids and staff attend church and become a part of a permanent community compared to the temporary community of camp.